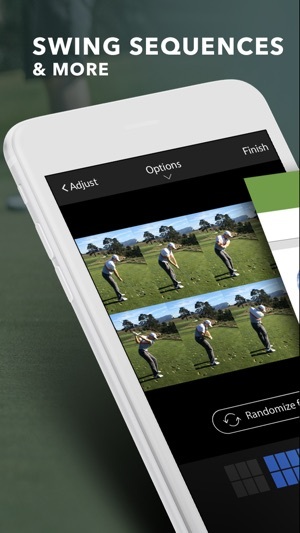 • Automatic mode: simply upload a video and tap "trace"! • Custom tracers: Fireball, USA, Colors & more! 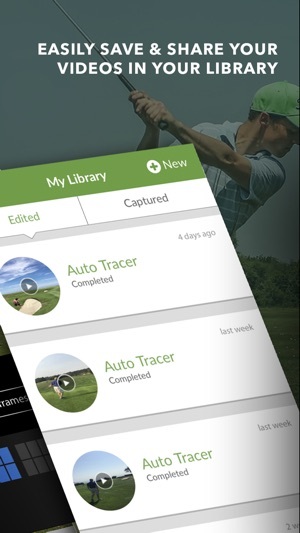 • Just upload your video and the rest is automatic! 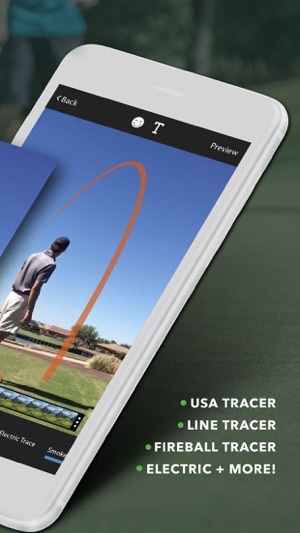 "The gottaGolf Ball Tracer is one of the best ideas I've seen." "Atlanta start-up woos millennials with a 'digital country club'"
Have an idea, question, or feedback? 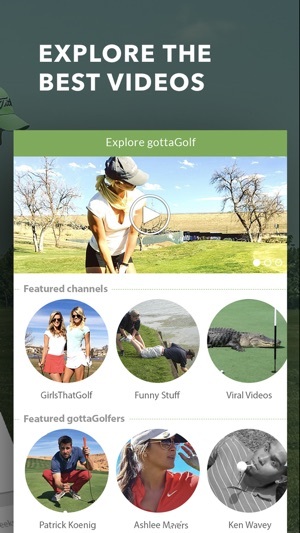 - You can subscribe to unlimited access to all features and content offered as "premium features" in gottaGolf. - Subscriptions are billed monthly or annually at the rate selected depending on the subscription plan. - Subscriptions auto-renew at the cost of the chosen package, unless canceled​ 24-hours in advance prior to the end of the current period. The subscription fee is charged to your iTunes account at the confirmation of purchase. - You may manage your subscription and turn off auto-renewal by going to your Accounts Settings after purchase. Per Apple policy, no cancellation of the current subscription is allowed during the active period. Once purchased, refunds will not be provided for any unused portion of the term. 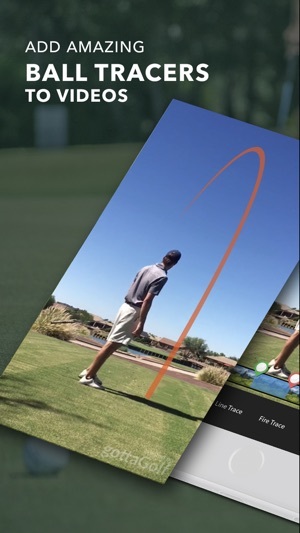 Really cool way to share what you love about the game with fellow golfers. Tracer makes the posts even better. This app has cool tracer features and an active social feed. Nice one to add to my golf folder.